The NSJCA 2019/20 representative team trials for U12 to U16 years will take place in February and March 2019. Girls U13 and U15 registration and team trials available HERE or on the NSJCA website. Please note that the Academy trials (for U11 and younger) will be held in September 2019. The link to register Boys to trial is available HERE or on the NSJCA website. 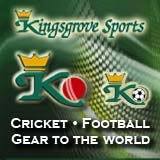 U16 Wed 27 Mar 19 7.00 - 9.00 SCG Indoor Nets. Note: ALL players must register to trial prior to attending their week 1 trial.